There exist few humans in this world with the ability to manipulate their souls to form powerful weapons. 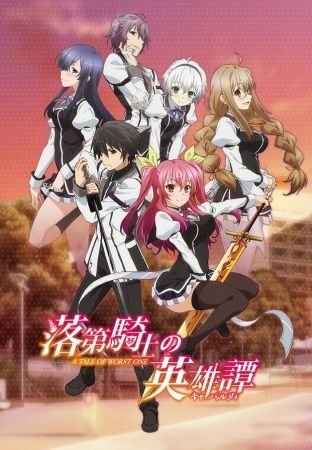 Dubbed "Blazers," these people study and train at the prestigious Hagun Academy to become Mage-Knights; among the students is so-called failure Ikki Kurogane, the sole F-rated Blazer. However, when the worst student in the academy sees Stella Vermillion, an A-ranked Blazer who also happens to be a princess, naked, she challenges him to a duel with dire stakes—the loser becomes the slave of the winner. There’s no possible way that Stella can lose, right? 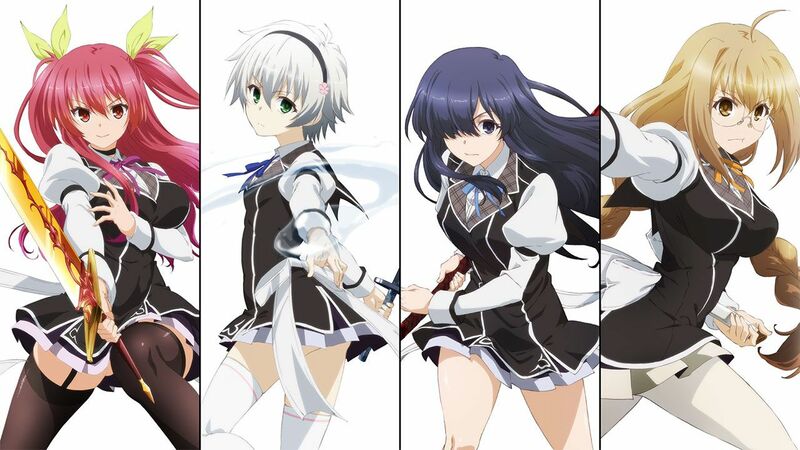 Rakudai Kishi no Cavalry follows the story of Ikki as he tries to prove his strength to a world that believes him to be the weakest, all the while gaining new friends, wisdom, and experience.